In October, we received news that the pilot for The Teacher Project would be ordered. It was a busy time for us here at Two Stories Media. Among the other projects that pay the bills, we were also in pre-production of a short film when Channel Fluxx gave us the news. 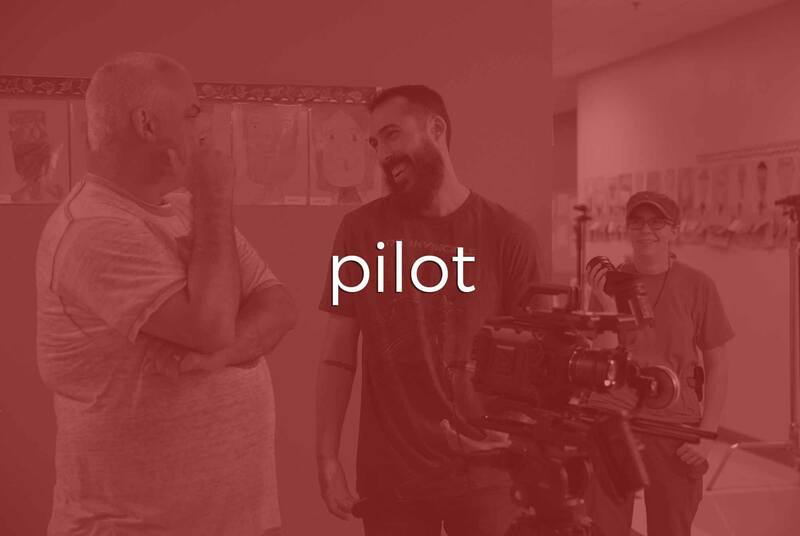 It’s great news hearing that a distributor wants a pilot filmed and delivered within six weeks, but it’s also quite stressful. Somehow, we were able to schedule the principle filming in November. Day One of filming was a short scene scheduled here in St. Petersburg and it only consisted of two actors, Chuck Fonshell and Emma Rose Jacobson. On paper, it was a short exchange of several lines that made up one page of the script. The scene took place in a bathroom and master bedroom. The challenge was that the bathroom we were using was quite tight, which meant very limited camera angles. However, Kevin came up with a clever over the shoulder shot, into the bathroom mirror showing Chuck at the sink and Emma entering the master bedroom behind him. It worked out perfectly though honestly, it was about the only shot we had. Day Two was our first time shooting at the school. We would like to take a second to say thank you to Lake County Schools and specifically Grassy Lake Elementary School. We were allowed the opportunity to rent parts of the school in order to shoot there, and the entire experience couldn’t have been any better. The was also our first full day shoot, with several scenes being shot that day. The most difficult aspect of this day was scheduling. There weren’t two scenes shot in the same place at all in the script. This meant that once we shot a scene, we had to change locations. In other words, we spent more time moving equipment than we did actual filming. Locations ranged from the school lobby, to a long L-shaped hallway, and a classroom. The lobby and hallway had several sections that had to be lit and used at different times. We used every minute of those ten hours that day, but I think the end result is an excellent pilot for The teacher Project.